What is the Dofus game? Dofus is a tactical turn-oriented massively multiplayer online role-playing game (MMORPG) developed and published by Ankama Games, a French computer game manufacturer. Dofus is published on PC (Microsoft Windows) in 2004. Achieve quests to obtain powerful dragon eggs, in Dofus you can learn how to team up with your combat mate and get friendship aside from combats. Create your own hero by draft one of the 18 classes with a solid determination to grow it with intensive fight with evil and online adversaries. Dofus is more of a interactive cartoon platform than a role-playing game, aimed at giving joyful experiences for both hardcores and novices. The game includes both pay-to-play accounts offering the full version Dofus and free-to-play accounts offering limited gaming content. You can subscribe at any time to upgrade your account. 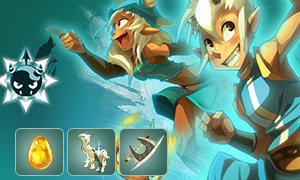 Why should players Buy Dofus Kamas from Joymmo.com? 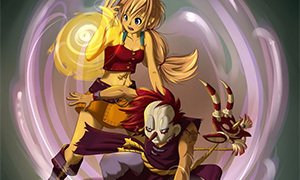 Dofus Kamas help you better enjoy the game, getting Cheap Dofus Kamas, Les Dofus, Equipment, and Dofus Items from Joymmo.com's Dofus Auction House, which can be used buy items like resources or equipment, and travel around the world under the help of Joymmo.com. We will continue to supply Cheapest Dofus Kamas wit best service, 24/7 online service.